George is a former Indiana Pacer and a 2-time ABA champion, 3-time ABA all-star, and 3-time NBA all-star. He was awarded ABA MVP honors in 1975. 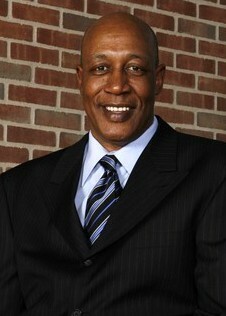 George F. McGinnis played 11 seasons in the American Basketball Association and National Basketball Association. He was drafted into the ABA from Indiana University. In the 1970–71 season at Indiana, McGinnis became the first sophomore to lead the Big Ten in scoring and rebounding. 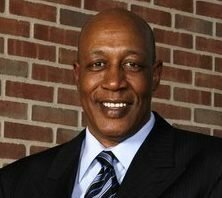 He averaged 29.9 points per game in his lone season in Bloomington earning All-American and All-Big Ten Honors in 1971. George McGinnis was one of the marquee players of the ABA, and later teamed up with fellow ABA alumni Julius Erving and Caldwell Jones on the Philadelphia 76ers that made the NBA Finals in 1977. McGinnis is one of four players (the others are Roger Brown, Reggie Miller, and Mel Daniels) to have his #30 jersey retired by the Pacers. McGinnis attended Washington High School in Indianapolis, where in 1969 his team went unbeaten for the season and won the state championship. McGinnis set an Indiana state tournament scoring record with 148 points in his final four games. He was also named Mr. Basketball for the state of Indiana that year. After ABA and NBA regular season MVPs, George McGinnis (ABA 1974–75) was inducted into the Naismith Memorial Basketball Hall of Fame in 2017.